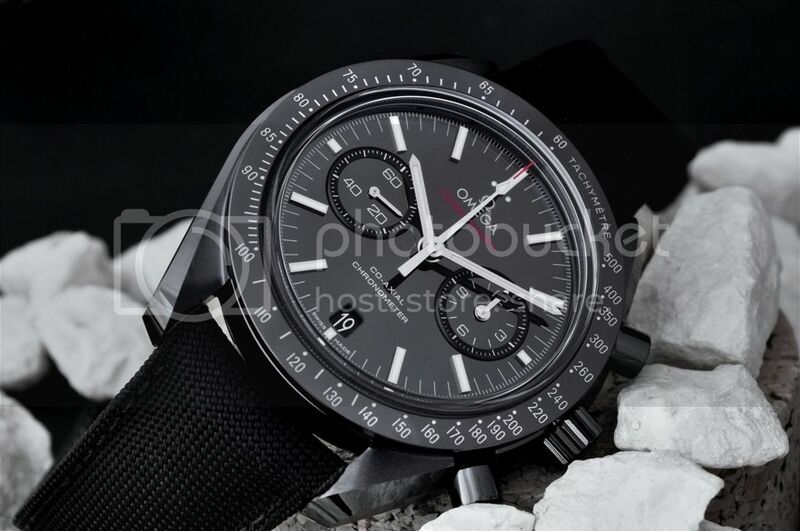 I have to admit that I was fascinated by this watch since its market release : the combination of the classic Speedmaster design with the advanced case technology made out of black ceramic and one of the (if not THE) most technically advanced automatic chronograph movement on the market. 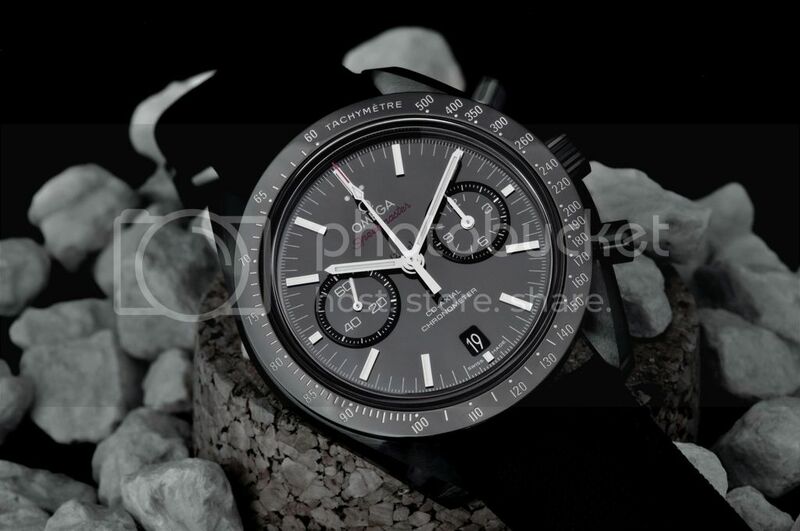 The specs of the watch with 44.25 mm diameter and a height of more than 15 mm were initially intimidating to me and kept me from trying it. 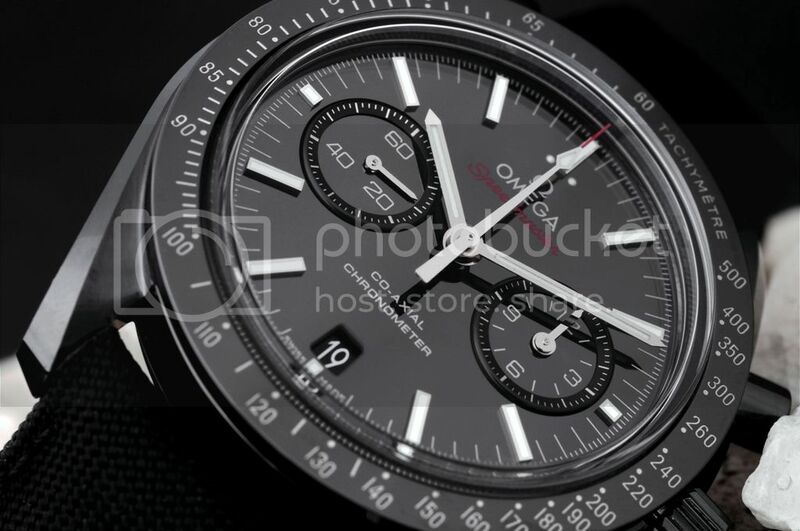 On the wrist however this is not a problem : the all black design makes the watch look smaller. 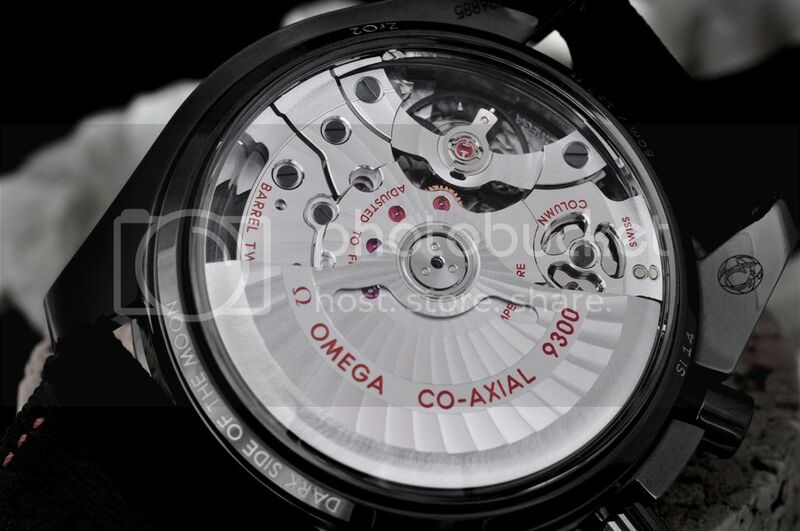 The height is driven a lot by the upper and lower sapphire and thus, visually, the watch looks and feels thinner. 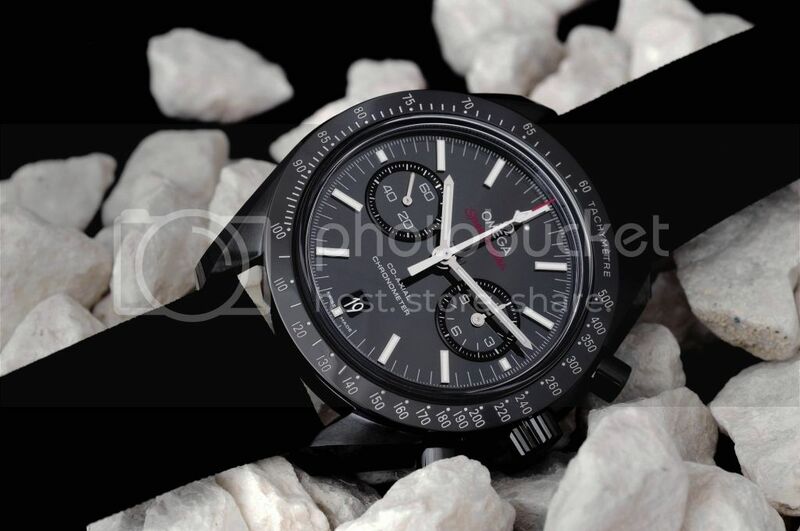 Make however no mistake : this is a large sports watch and is best worn for the more casual moments in life. The wearing comfort is really superb due to the low weight and the short lugs : a large watch that almost forgets its presence on the wrist! Of course , a special mention for the cal. 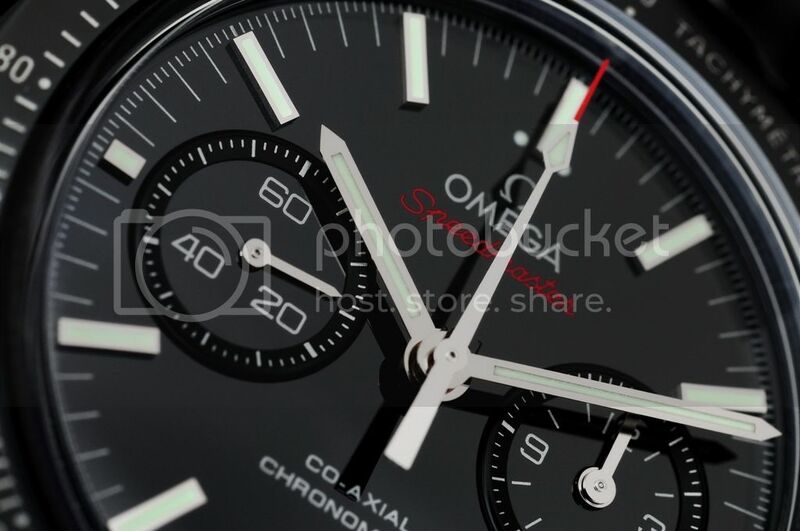 9300 : co-axial , column wheel , silicon balance spring... Omega has put the combined Swatch/ETA/Omega knowledge and technology into the design of this movement and made it a real statement. Of course the movement finishing is industrial but nevertheless quite pleasant to the eyes. 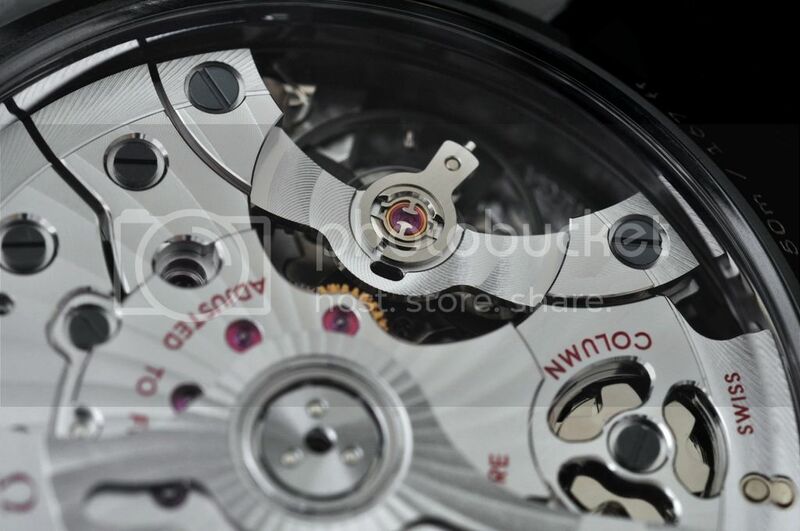 And a large movement that fills well the case! 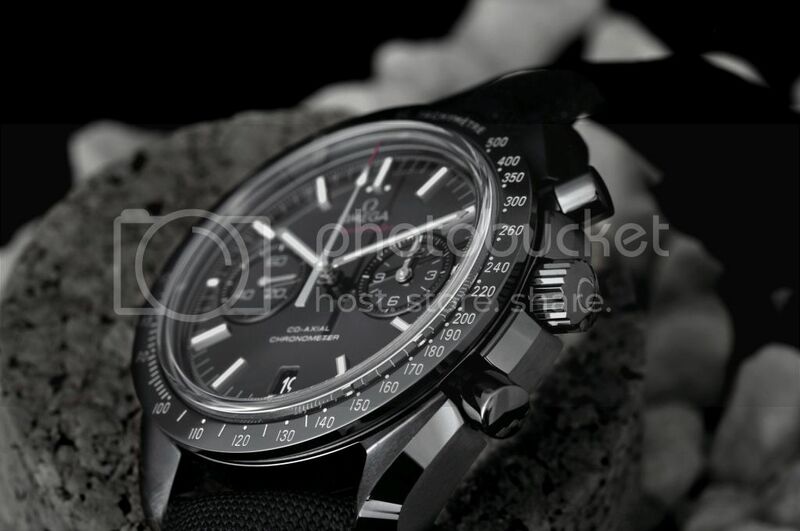 Previous Topic: What watches Nick on America GT wears ? Any pictures ?